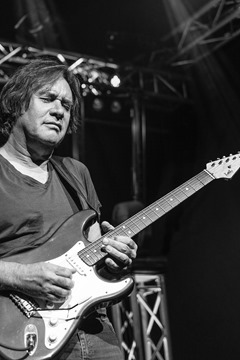 The guitar master, Carl Verheyen is known for working on albums with numerous big name artists, countless soundtracks for film and television, and with his very own Carl Verheyen Band. 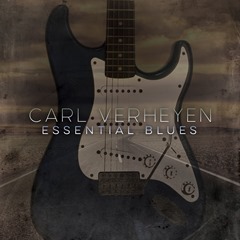 Carl released his album “The Grand Design” in 2016, followed by a successful tour before releasing his latest album “Essential Blues” which featured various blues tunes, all recorded in a “live” style recording. The album displays detailed expressions and tones on the master’s guitar, along with Carl’s warm and brilliant vocal performances. 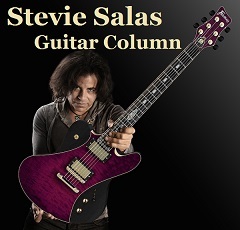 The album not only appeals to guitar music fans, but also to a wider range of music lovers. 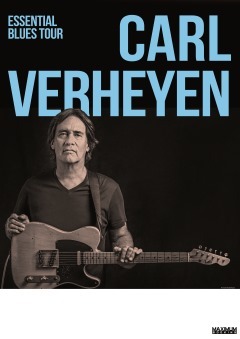 Carl Verheyen talked to MUSE ON MUSE about his latest “Essential Blues” album. Muse On Muse : How was your “The Essential Blues Tour” you did in the fall of 2017? 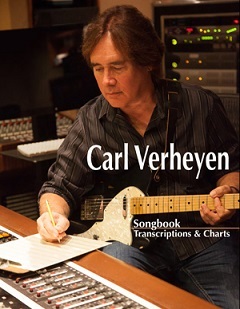 Carl Verheyen : It turned out to be wonderful! I used a keyboard player from Napoli, Italy again named Marco Corccioni. He’s a fantastic player with “big ears” which means he can hear where I’m going in my solos and accompany me perfectly. I played in Poland for the first time ever and the response was great. Many people said, “We’ve been waiting many years for you to come and play for us.” This made me feel very happy and welcome! MM : Tell us how and why you decided to record your latest “Essential Blues” album. 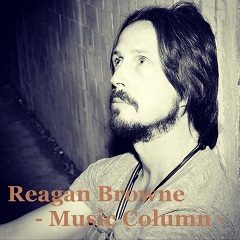 CV : My plan was to do a compilation CD of all the blues recordings I’ve done over the years. Songs Like “Two Trains Running” and “Down Like Hail” from the Slang Justice record would be side by side with “New Years Day” from Trading 8s. But my producer gave me a brand new “challenge.” He said, “Why don’t we record a brand new record, absolutely live…in 3 days?” I had one month to prepare, decide on the songs and the treatments and do it! MM : Tell us about the musicians that took part on the new album. CV : I used my old friend Jim Cox on Hammond B-3 organ and a couple of musicians that live in Ft Wayne, Indiana on bass and drums. Jim had actually flown in straight from Hong Kong, where he was working with James Taylor. Dave Martin, the bassist is a Nashville player that is actually in the Western Swing Hall of Fame, and Nick D’Virgilio is an amazing drummer that has worked with everyone from Tears for Fears and Spock’s Beard. These guys can play anything and it was a pleasure to work with them. MM : On the album you show a variation of different blues styles such as Delta blues, the Piedmont blues, Chicago, Texas, British blues, as well as jazz blues and R&B-funk blues. Please give us some insight on the different characteristics as well as differences in the way you actually play the guitar for these styles. CV : I’ve always enjoyed how the different inflections of these regional styles can affect the typical blues shuffle. The Texas guys feel it very different from the Chicago players, and the British play it yet another way. It’s easier to show you on guitar than describe in an interview, but let’s just say the Chicago shuffle swings a bit harder and the Texas shuffle is broader and wider. The Piedmont blues is the sound of a guitarist trying to sound like a stride piano, and the jazz blues adds about 6 more chord changes to the traditional I, IV, V progression. This makes it more like playing through changes like a jazz tune. MM : Tell us about the recording process for this album. We heard that you recorded in a “live” style recording. CV : Everything was done live, including the vocals. That was the hard part for me because my brain goes to the guitar first and vocal second, even after all these years of playing live. So I had to reverse that order because we were all in the same room and I worried that a flat or out of tune vocal would leak into the drum mics and be obvious if we tried to fix it! MM : You performed songs from legendary musicians such as Freddie King, Peter Green, Ray Charles, and Alvin Lee on the album. Tell us why you selected these songs for the album. MM : “STEALING GASOLINE”, “DODGING THE BLUES” and “STARDUST BLUES” are your originals. Tell us about these songs. CV : “Stealing Gasoline” is a true story that happened when I was 17 years old. I grew up in Los Angeles and I used to love to drive up to San Francisco for concerts because their bands were so different from the LA bands. But teenagers are rarely organized and more then once I ran out of gas halfway up the coast in the middle of the night when all the gas stations are closed. 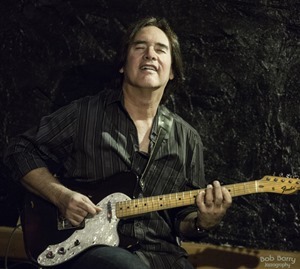 “Dodging the Blues” was written for my friend Mark Dodge who passed away after a long battle with ALS. I wrote the song on the day he died. And “Stardust Blues” is a slow blues in D. The challenge was to make a traditionally “bright” key sound dark. MM : What do you find difficult when trying to express the blues both for vocal and guitar performances? 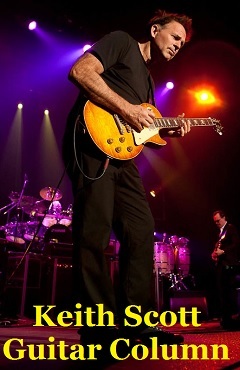 CV : The best blues musicians that I admire are the ones that bare their soul during the performance. A perfect example is Jimi Hendrix singing “Voodoo Chile” (the long version on Electric Ladyland, not the “slight return” wah-wah version). Clapton playing and singing “Have You Ever Loved a Woman” or BB King singing “See That My Grave is Kept Clean” come to mind as performances I aspire to. You gotta dig deep to pull that vibe out of yourself! MM : You display a very impressive guitar tone on the album. Obviously this depends on who plays the instrument, but what approaches do you take when it comes to making your sound with your guitar and amp? 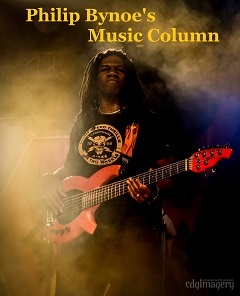 CV : I believe your tone comes from your hands, but how a guitar player sets up his instrument is also a huge factor. My action is high enough so that there are no buzzes or choked notes on the neck. Everything rings clearly from the lowest notes to the highest, and my LsL signature Strat is maintained in top working order all the time. It’s what you’ve got to do when you’re a professional; it becomes a reflection of who you are every time you pick up the instrument. MM : Tell us about your gear. What guitars and amps, etc. did you use for this recording? CV : Unlike my usual CVB records where I layer many tones with dozens of guitars, amps and pedals, I did this entire record with 2 guitars, 2 amps and 4 pedals. I used the CV Special LsL Strat, and an LsL Soledad Tele style guitar with a P-90 in the neck and a humbucker in the bridge position. I shipped my 50 watt 1968 Plexi Marshall and used a 2X12 Vox AC-30 cabinet that lives at the studio. For the super clean guitar tones I switched to a Fender Deluxe reissue that was there in the studio, too. I enjoyed the challenge of a limited pallet to work with. MM : Currently, there are many plug-in software that provide quality amp sounds and effects for DAW. What are your thoughts? CV : I’ve had to use these plug-ins many times in various studio settings but I’ll never use them on my own recordings because I want to hear the air around the sound that only comes from proper mic placement in a good sounding room. While I play the part I’m about to record, the engineer walks around the room to hear where the tone blooms, and sets a second ambient mic there in addition to the close mic on the amp. MM : You now have online instructional contents on your website, the “CV Academy” and you are also an advisor for the MUSE ON MUSE performance analyzing project. As an instructor, what do you want to pass on to your students? What do you want them to learn? CV : My hope is to pass along the sheer joy that comes from making a sound on a musical instrument with your hands. It’s very different from programming or typing out a groove on a computer. The next generation has the tools available on the Internet to take it much farther than we have. I believe it’s already happening when I hear players like Derek Trucks and Joe Robinson. I want people to learn all the styles and not just stick to the one they like best. Because music advances when styles are cross-pollinated. When I hear a bluegrass player like Tony Rice play a jazz lick from Pat Martino it sounds great to my ears! This kind of thing is how we get innovators like Jaco Pastorius or Paul McCartney. MM : What do you plan to accomplish for 2018? CV : I’m always looking to fill the next size venue UP from the ones I currently play. And I really want to come to JAPAN! MM : Please give your fans a New Year message. CV : Thanks for your support over the years! It’s always great to hear from you on Facebook or by email. If you’re a guitar player, make a New Year’s resolution to write down a new musical idea or lick at least once a week. Start with C major or A minor and work through all 12 keys. You’ll be a better player by April!